Heaps of people talked to us for Part 2 of our special series, Smart Moves, but we could only fit a handful of them in the DomPost word limit. So here’s what people think about transport in Wellington right now, and how they’d like to get around. Talk Wellington is deeply grateful to everyone here who took the time to talk to us. Wellingtonians overwhelmingly want to live in a city connected by people, not cars. 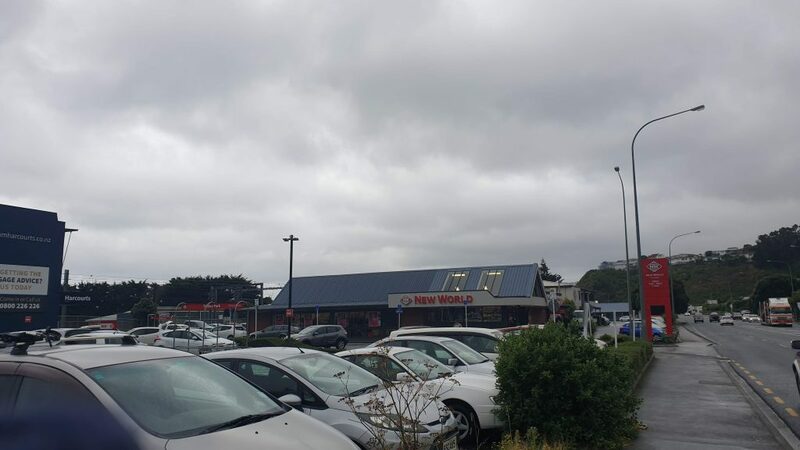 Our interviewees told us cars are currently winning the battle for space in Wellington, and everything else is forced to work around the traffic. Devoting space to people is what gives a city its heart. Alison Howard, 43, of Miramar thinks fewer cars in the city is definitely the way to go. Cuba Street is consistently at the top of Wellingtonian’s ‘favourite places’ lists, which indicates Howard isn’t alone in wanting more accessible pedestrian spaces. Some respondents suggested that Wellington’s public transport hasn’t progressed beyond simply doing the bare minimum. A lack of a cohesive transport plan means the city’s public transport system hasn’t kept pace with an exploding population growth. On the whole, bus and rail are too infrequent, chaotic and wildly expensive compared to other similar cities in the world, Spector said. Another issue is lack of choice and reliability, which is a continuing source of frustration for many of those who live outside the central city. People we spoke to want to use public transport, but for those who have busy lives requiring strict time management, it is just not feasible. Cost is another issue when it comes using public transport regularly. It can be prohibitively expensive for some, while for others like Suze Keith (51), of Kelburn, taking the car is still the cheaper option. People aren’t looking for a door-to-door personal chauffeur – they just want options that are usable for everyday life. That are real options relative to driving. 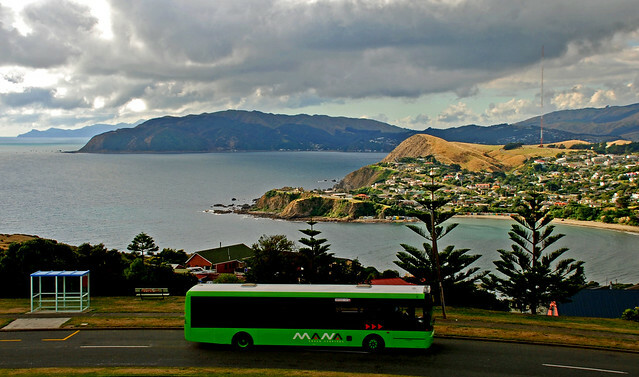 Many of the places people live – the Hutt Valley, Porirua and Kāpiti – have trains but infrequent and often unreliable bus systems. These are often the only source of transport for the young and the elderly. He believes we need to reset in the way we view cars in society, and the notion of “independence” has been taken too far – to the point where everyone travelling “independently” in their own private vehicles is creating needless congestion. Everyone drives to these shops in Mana. No surprise. It’s a scenario Joey Shannon, 33, from Roseneath can relate to: as a dad with toddlers, it’s schedules and routes that keep his family car-bound. “As easy as riding a bike” – ? 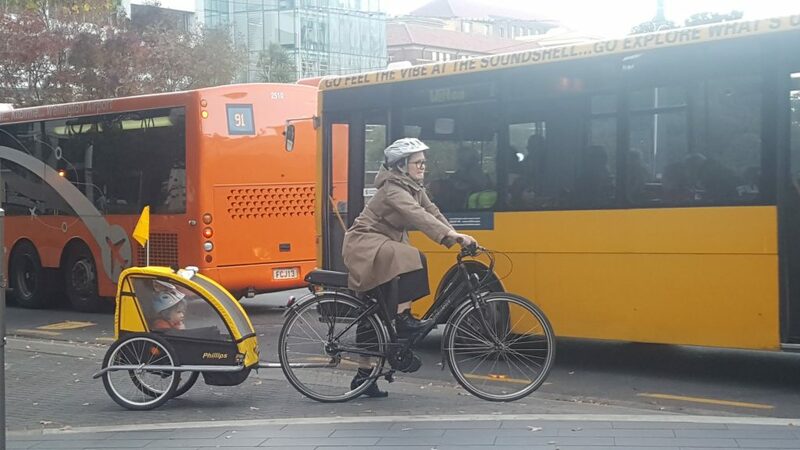 While the obvious solution to many of Wellington’s transport woes would be more people getting around on bikes, there was universal concern about the risks their families take by biking on the roads and streets. Parents from everywhere in the region want their kids to be able to bike to school, around their neighbourhoods, and to be able to bike and take public transport to sports and other activities. 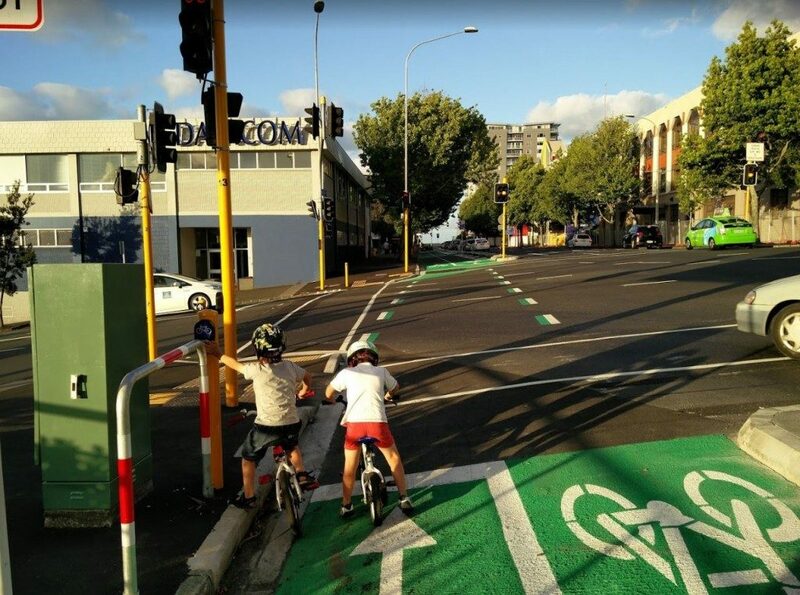 But navigating Wellington’s streets in traffic requires confidence and a skillset that most adults struggle with, and few parents were willing to let their kids do it. It’s something Richard Bradley, 51 from Plimmerton, can relate to as well. After a couple of “near-death experiences” with cars, he finally quit cycling around. “When you’re on a cycle versus a car it doesn’t matter if you are right or wrong, you’re coming off a distant second.” Bradley advocates for better cycleways to give people safer options. He said if people felt safe enough to ride to work there would be health benefits alongside the environmental advantages. “Cycleways would really give people the option… As a nation – what I’m seeing… we’re going backwards in terms of obesity and stuff like that. People are busy, they don’t have time for lots of things let alone keeping fit. Like Bradley and Carmichael, Pablo Gomes, 39 of Island Bay, is another experienced cyclist who has been knocked off his bike. Berhampore was a particularly dangerous spot, he said. “Motorists usually overtake riders very closely. 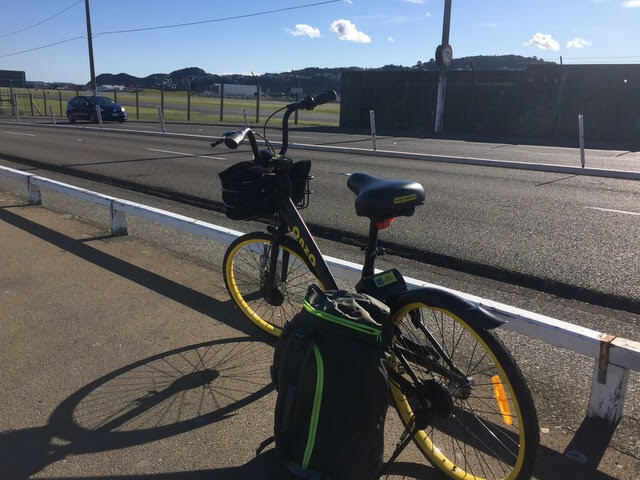 I have been ‘doored’ three times already, I despair to think of what would happen to my 10 year old trying to go to school among impatient drivers.” Steve Dixon (52) of Hataitai says “There are so many more people who’d happily cycle, especially with e-bikes, than are actually cycling now. There’s some good work in the suburbs making cycling safer, but in the central city there’s zero safe spaces for cycling. You’re alongside buses and other vehicles the whole way; it’s just dangerous. People – rightly so – are making choices “no I’m not going to share a narrow road with a whole bunch of buses”. Sharing is the future … soon? Within the city, rideshare options such as e-scooters and Onzo bikes are an option for people who don’t want to use cars but need to get somewhere quickly. 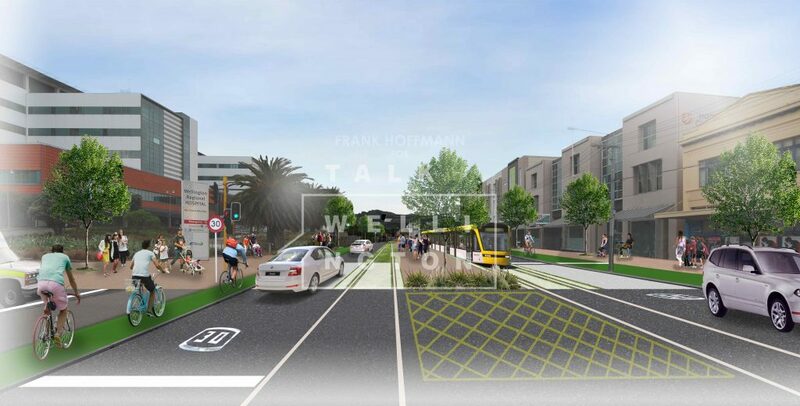 Nicci Wood is another resident firm in her belief that shared transport is the way to go, and she points out that planning must proactively prioritise good transport types. Wood said that we need to start planning infrastructure and policy to support “shared autonomous” transport modes – like Lime scooters and Onzo bikes – as well as making it easy for people not to own a car at all. “We must make decisions now that will benefit all future Wellingtonians. Climate change was an important topic that often cropped up in our discussions, leaving our interviewees confused as to how building more roads and encouraging car use fitted in with meeting obligations for the Paris Climate Agreement. 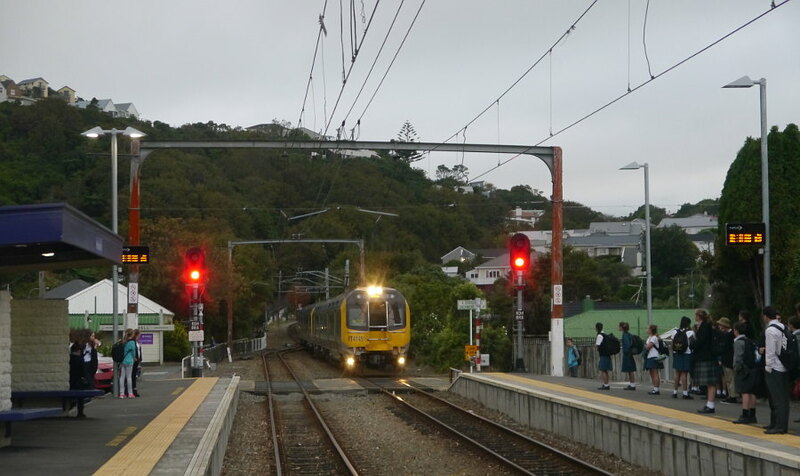 The clear answer is light rail according to Steve Dixon, 52, from Hataitai – who said Kiwis don’t know what they are missing out on. Still not seeing options – including accessible buses for those with mobility issues- including the elderly and those in wheelchairs. GWRC treats the Disabled community as invisible – out of sight – out of mind. Replacement buses for scheduled outages on the Hutt Line are farcical. Old NCS buses. TRANZdev and Metlink Managers are trying to get all accessible buses.